This page features all of the 3 digit Victorian heritage plates which have been listed on the Heritage Number Plate Spotting Facebook page. As an added bonus, 450 can also be seen in this shot. This plate had previously been posted on a Mini (30 July 2014). Click here for the photo. This plate was previously spotted on a Ferrari 599 GTB. For more info click here: Vic 261. The plate sold for $75,000 at the 2007 Shannons Melbourne Spring Classic Auction. For more information on this plate please click here: Vic 266. This plate has previously been spotted on a Mercedes C63 and ML63 AMG. Click here for more: Vic 270. This plate sold for $80,000 at the VicRoads Auction 2010. This plate sold for $55,000 at the 2012 Shannons Melbourne Autumn Classic Auction. This plate sold for $84,000 at ‘The Premium Plate Auction 2011‘. This plate sold for $75,000 at the VicRoads Auction 2010. This plate has previously been spotted on a Mercedes-Benz S Class. 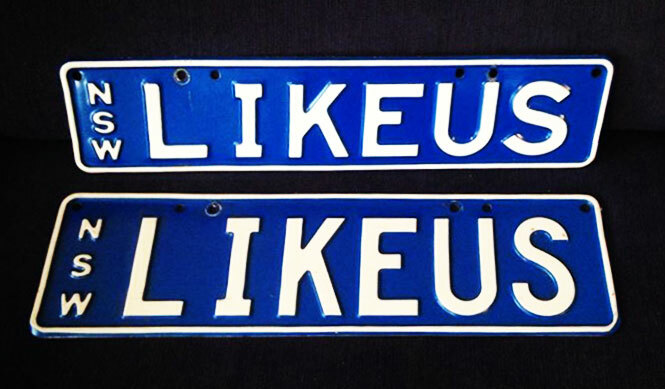 This plate sold for $81,000 at the 2009 Shannons Melbourne Summer Classic Vehicle Auction. This plate sold for $60,000 at the 2013 Shannons Melbourne Autumn Classic Auction. This plate sold for $57,000 at ‘The Premium Plate Auction 2011‘. This plate sold for $25,000 at the 2005 Shannons Summer Auction. This plate sold for $55,000 at the 2010 Shannons Melbourne Classic Auction. The plate had previously been spotted on an earlier model white Cayenne. Click here for the photo, posted 1 October 2014. This plate sold for $52,500 at ‘The Premium Plate Auction 2011‘. This plate sold for $82,000 at the 2009 Shannons Melbourne Summer Classic Vehicle Auction. This plate was passed in at the 2011 Australian International Motor Show Auction. It later sold for $46,000 at the 2012 Shannons Melbourne Spring Classic Auction. This plate sold for $51,000 at the 2013 Shannons Melbourne Late Summer Classic Auction. This plate sold for $45,000 at the 2012 Shannons Melbourne Winter Classic Auction. This plate sold for $29,000 at the 2005 Shannons Melbourne Winter Classic Auction. This photo was taken in April 2008. Previously posted on an Audi RS6 (September 2014). Click here for the photo. This plate sold for $70,000 at the 2010 VicRoads Auction. This plate sold for $52,000 at the 2011 Shannons Melbourne Summer Classic Auction. This plate has previously been spotted on a Ferrari 360 Challenge Stradale and a BMW X5. This plate sold for $43,000 at the 2013 Shannons Melbourne Spring Classic Auction. This plate sold for $62,000 at the 2007 Shannons Melbourne Summer Classic Auction. It sold again for $45,000 at the 2012 Shannons Melbourne Autumn Classic Auction. This plate sold for $56,000 at the 2012 Shannons Melbourne Spring Classic Auction. This plate sold for $63,000 at the 2009 Melbourne International Motorshow Auction. This plate sold for $50,000 at the 2011 Australian International Motor Show Auction. This plate sold for an unknown amount at the 2011 Australian International Motor Show Auction. This plate sold for $56,000 at the 2014 Shannons Melbourne Summer Classic Auction. This plate sold for $57,000 at the 2012 Shannons Melbourne Summer Classic Auction. This plate sold for $51,000 at ‘The Premium Plate Auction 2011‘. This plate sold for $59,000 at the 2015 Shannons Melbourne Late Summer Classic Auction. Previously posted on a Bentley Continental Flying Spur (September 2014). Click here for the photo. This plate sold for $62,000 at the 2015 Shannons Melbourne Spring Classic Auction. This plate sold for $20,000 at the 2005 Shannons Summer Auction. This plate sold for $65,000 at the VicRoads Auction 2010. This plate reportedly sold for $18,500 at a Bonhams & Goodman auction in 2005. Source. This plate sold for $70,000 at the 2007 Melbourne International Motorshow Auction. This plate sold for $28,000 at the 2005 Shannons Melbourne Winter Classic Auction. This plate sold for $31,000 at the 2005 Shannons Melbourne Spring Classic Auction. This plate sold for $52,000 at ‘The Premium Plate Auction 2011‘. This plate sold for $39,000 at the 2014 Shannons Melbourne Spring Classic Auction. This plate sold for $71,000 at The Premium Plate Auction 2008. It was previously posted on an Audi (August 2014). Click here for the photo. This plate sold for $75,000 at the 2010 Shannons Motorclassica Collector Vehicle Auction. This plate sold for $42,000 at the 2012 Shannons Melbourne Summer Classic Auction. There are plenty more plates where these came from! Click here to view plates 500 – 749.